With the advance of technology in apparels, there are now many different materials and compositions that make up the running tees of today. As the market leader for sports apparel, Under Armour Singapore has different materials and cuts to suit all runners. 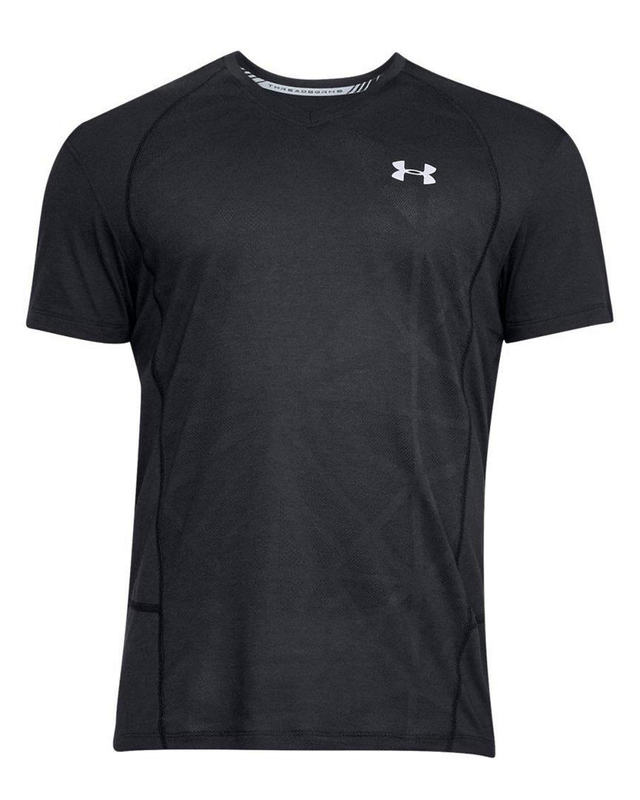 The Under Armour Men’s Streaker Run V-neck T-shirt is made from 100% polyester. The UA Threadborne Microthread technology in the fabric is supposed to dry faster, so that the fabric does not cling to you or cause abrasions. Multiple reviews from buyers have praised the material for being suitable for hot and humid climates like Singapore, and a few reviews have commented that they like the V-neck as it is comfortable and suitable for daily wear. Currently available only in red, this V-neck gem is suitable for running enthusiasts who live in hot and humid climates. 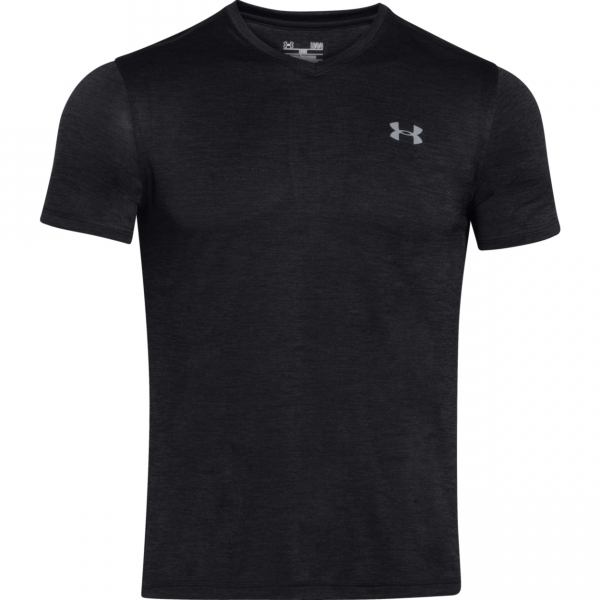 The Men’s Under Armour Swyft V-neck Tee Shirt is made of 50% Polyester and 50% Elasterell. The term elasterell looks similar to elastane, which is fabric with stretch properties, but it is actually another category of polyester. The Swyft V-neck also use microfibers technology for quick drying and moisture wicking. Reviews claim that the size is running a bit small for this series. Available in 7 colours, ranging from greys to bright blue, this is suitable for slimmer men or those looking for a tighter cut. The HeatGear is 100% polyester and the original innovation that the founder of Under Armour came up with. Wearing this is like wearing a part of history! Fitted with UPF protection and anti-odour technology, this is the original classic HeatGear which gives you great value at an affordable cost. Available in red and white, this is a wardrobe staple that everyone should have. You can also customise the Under Amour HeatGear with your initials and company logo with Ark Industries, one of the corporate distributors of Under Armour Singapore. 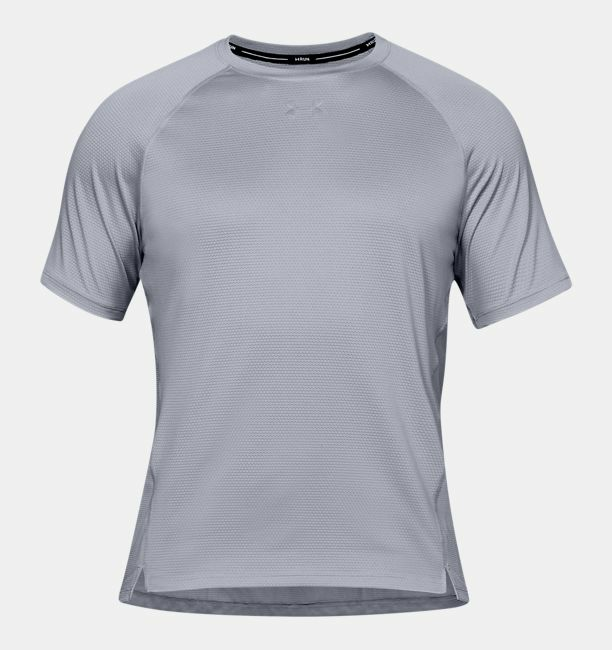 The Men’s Under Armour Warped Route t-shirt is made of Charged Cotton®, which has the comfort of cotton, but dries much faster. The composition is 57% Cotton/38% Polyester/5% Elastane. Polyester helps to give the T-shirt its quick drying properties and Elastane provides 4 way stretch function. If you are a fan of cotton, be sure to give this T-shirt a try for your next run! 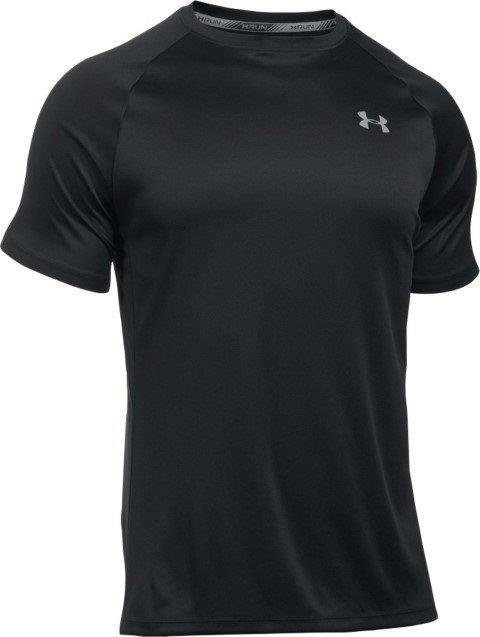 The Under Armour Men’s HexDelta Short sleeves is made of 95% Polyester and 5% Elastane. Its speciality is ultralight fabric with hex shaped pattern that breathes as you run. Elastane provides 4 way stretch. 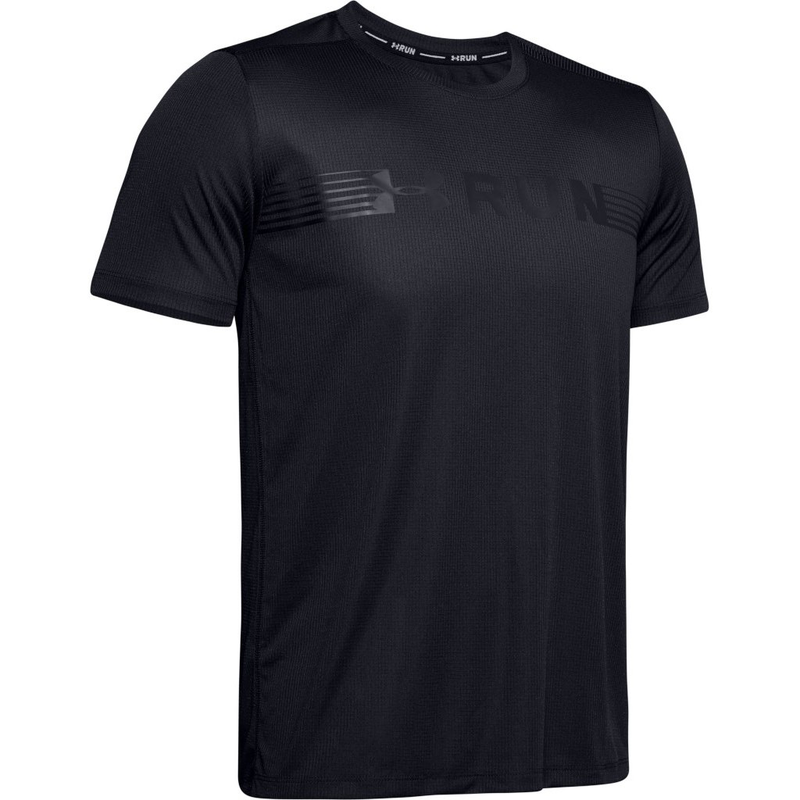 As per runner’s world review, https://www.runnersworld.com/gear/a22173511/under-armour-hexdelta-shirt-review/, the Hexdelta is one of the best running tees around, keeping you warm when you are cold and dry when you sweat. At Ark Industries, we offer a range of Under Armour Singapore running tees, Under Armour polo tees and other Under Armour accessories. We provide design and customization services to keep you looking at your best. Contact us at 6352 0988 for an enquiry today.